The business world is so different today. Just as our homes need to be organized, many businesses can use assistance with organizing their business spaces. In addition, there are services that need to be outsourced so more time can be devoted to the core business. Among other things, these services may include bookkeeping services or QuickBooks support. Why not consider outsourcing bookkeeping services to someone else so you can devote your time to your passion? 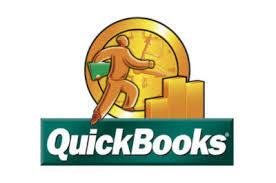 Organized by L has been using QuickBooks desktop for over 20 years. QB is a great accounting program, but it can be frustrating when you are new to it or just don’t like that aspect of your business. We can provide bookkeeping services and paperwork support. This would allow you to keep your books in order without hiring a full-time employee and incurring those additional expenses. This would not take the place of your accountant, but it would allow you to provide information to your accountant more efficiently, in turn saving you money. Again, these services are offered with complete confidentiality. “Organized by L did an amazing job with the disorganized filing system at my sign business. I have been using her system now for 6 months and my business’s paperwork organization is the best it has ever been in the 20 years I have been in business. It is now almost a pleasure to file invoices or bills because she made it so easy. She made a short follow up visit after the 1st of the year to pull my year-end files and I am now ready for 2014. She also gave me tips on how to better use Quickbooks and my overall office organization. She has such great ideas. I recommend her company to anyone that is feeling disorganized and buried under piles of paperwork, she makes it simple. “Ellen is very easy to work with. She is also adaptable and willing to offer suggestions for improvements. Initially, Ellen came to train me on QuickBooks when my bookkeeper left. I decided it was more cost effective to have Ellen do the bookkeeping so I could devote more time to growing my business. It has been a great decision.” – Brian T.